"The Hunger Games" opens Friday, and while the tea leaves say that it will enjoy a bigger opening weekend than "Twilight," there are still plenty of people out there who may not know what the fuss is about. Based on the bestselling book by Suzanne Collins, the film stars Jennifer Lawrence as Katniss Everdeen, a 16-year-old girl who lives in District 12 of Panem, a new totalitarian state formed in the wake of a rebellion that tore apart America. Every year, one boy and one girl from each of the 12 districts are chosen by lottery to be among the 24 contestants to enter an arena for a battle to the death, The Hunger Games. The story has been unfairly dismissed by some for its superficial similarity to the vampire drama "Twilight" because they each feature heroines from single-parent homes who find themselves in grave danger and have two guys vying for their affections. 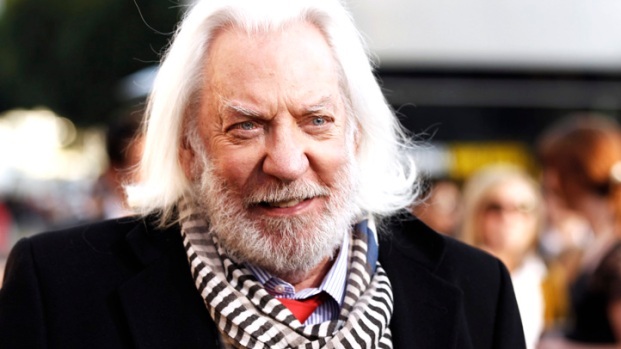 Donald Sutherland: Jennifer Lawrence Is "Brilliant!" In "The Hunger Games"
Donald chats about playing President Snow in "The Hunger Games." Was he a fan of the books before signing on to the movie? Plus, why does he think Jennifer Lawrence is "one of the most brilliant actors of our time"? Lastly, why is he wearing an eye patch? Isn't this just another "Twilight"? "The Hunger Games" is most definitely not "Twilight." "Twilight" heroine Bella stands around gnawing her lower lip raw as two super cute guys snarl for supremacy. Though she's framed as the star, for much of the series she's largely the prize in a struggle between a vampire and a werewolf. Jennifer Lawrence Talks Casting for "The Hunger Games"
Jennifer Lawrence chats about being cast as Katniss Everdeen in "The Hunger Games." What was it like for her as a fan to land such a coveted role? Plus, what has been her favorite weapons training so far? Katniss Everdeen is a hunter-turned-warrior who's thrown into an arena with 23 other kids for a battle to the death, as author Suzanne Collins delves into matters of the heart, war, politics, voyeurism, vanity and self-determination, among other things. Meg Rooks is a mother and a middle school librarian living in Portland, Maine, who has read both "Hunger Games" and "Twilight" with her tween daughter, and both agree the former is far superior. "She [my daughter Janie] and I both read the first ('Twilight') and we both thought it was rubbish," explains Rooks. "'Twilight' is just ridiculous, stupid romance, and I never read that when I was that age, and I still am not a fan. And the heroine is just beyond boring, and kind of useless." A custom racing seat maker's handiwork will be featured in the upcoming "Hunger Games" film. NBC's Michelle Boudin reports. No, Katniss is nothing like Bella. In fact, she's eerily similar to the character that made Jennifer Lawrence famous, Ree Dolly of "Winter's Bone," for which the actress received an Oscar nomination. The girls share an overwhelmed mother, a dead father, needy younger siblings, a love of squirrel, the ability to take a beating, they're from coal country… They would totally be BFFs. OK, it's not "Twilight," but isn’t it a rip-off of that crazy Japanese book "Battle Royale"? Collins has been accused of lifting her plot from "Battle Royale," the 1999 book by Japanese author Koushun Takami. It's a story in which a totalitarian government forces a group of school kids to fight to the death. But that's about where the similarities end. 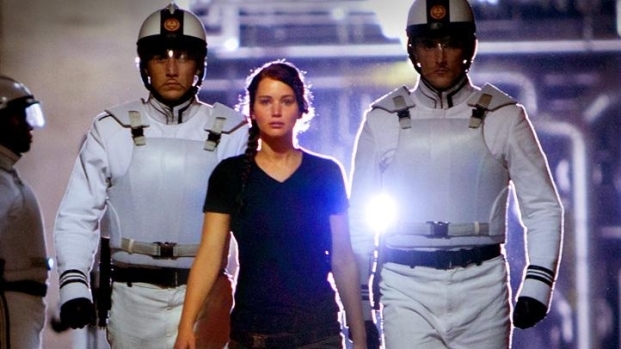 "Calling 'The Hunger Games' a rip-off is really just laziness; there are some parallels, but 'The Hunger Games' has its own point, and its own world and characters," declares Den of Geek co-founder Sarah Dobbs. "Maybe the most obvious difference, in the story, is that the Hunger Games are televised – so Katniss has to consider how she’s being portrayed constantly, because that actually has a bearing on her survival." Collins has claimed she knew nothing of "Battle Royale" at the time she turned in her manuscript, but what else is she gonna say? Newton and Leibniz came up with calculus at the same time. "Harry Potter" is basically "Star Wars," so what does it really matter? Wait—this is a movie about two dozen kids fighting to the death? Yep—and worse still, they do it while a national audience watches on TV, and it's all arranged by the powers that be in the capital city, who use the Games to remind the citizenry of the horrible destruction they suffered the last time they tried to rebel, some 75 years ago. But as Rooks notes, the violence isn’t gratuitous. "(The books) are violent, but I think (Collins) is very good at making them violent without making them be super gory… Katniss is not down on her knees stabbing anyone in the neck. The fact that she's skilled with a bow and arrow makes it a little less down and dirty." And while director Gary Ross faithfully chronicles almost every death without any sugar coating, the violence is shot in a way that isn't particularly gory. How is it that a nation of young girls got hooked on such a violent book? 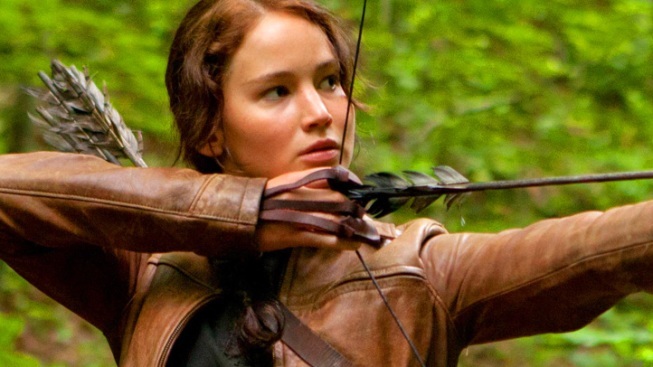 Part of Katniss' allure is that there is a dearth of female superheroes in pop culture. As Kristy Guevara-Flanagan, director of the forthcoming documentary "Wonder Women! The Untold Story of American Superheroines," points out, it's been some time since teen girls have had a pop culture icon this strong. "There hasn’t really been an iconic character, since Buffy the Vampire Slayer, for women and girls, and that was over 15 years ago. It's time," says Guevara-Flanagan. "Katniss is a first for this generation of young women. 'Tomb Raider'? It's been a while, and it's a little bit more of an adult figure, and so I think girls relate to it a little bit less. I think that 'Tomb Raider' while popular and very successful at the box office, she didn’t come from a book or a series, so her mythology is pretty thin. She came from a game, so there's just not as much of a narrative or a story there that girls and women can really sink their teeth into and understand and get behind and relate to, it's just a little more lightweight." Will boys/men enjoy this, too? "I have a middle school full of boys who love the books just as much as girls—everybody's reading them," says Rooks, whose 10-year-old son will be joining her at the midnight premiere on Thursday. "There is a little element of romance in there, but it's downplayed. It's definitely not the biggest part of the book." Sarah Blackwood, an assistant professor of English and American Studies at Pace University, says that the story will appeal to boys—and girls—on a primal level. "I think that 'The Hunger Games' has tapped into this audience by drawing on the dystopian fight-to-the-death genre tradition (that includes 'Lord of the Flies,' 'Battle Royale,' even 'Running Man'), but tweaking it a bit with the female heroine. I really believe Suzanne Collins when she said, in The New York Times Magazine, 'I don't write about adolescence. . . . I write about war. For adolescents.'" For an action movie, that trailer doesn't have much action. Fair point, though you can hardly blame them for maybe not letting parents see what their kids have been reading. And if you've already read the books, there's a lot that's implied—the fireballs, the desperate running. But trust us—there's no shortage of action. 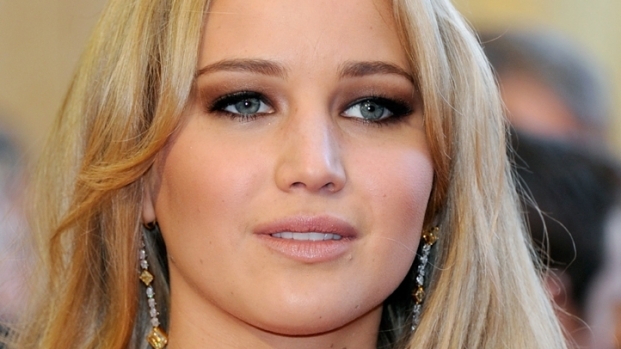 Was it racism that got Jennifer Lawrence the lead role? Hollywood has a long history of whitewashing films, lightening the skin tone of protagonists whose coloring is firmly established by the source material. So there was plenty of outrage when Jennifer Lawrence, with her blonde hair, blue eyes and fair skin, landed the role of Katniss, who is described in the books as having long dark hair, olive skin and green eyes. "When I first heard she was being cast, my eyebrows had to rise, because I didn't see how she was chosen over everybody in Hollywood," admits Chiderah Aalisa, an entertainment writer for The Grio and MSNBC. "But I think she's phenomenal, especially at portraying emotion, something that this character would need. So she grew on me in that regard. Out of all of the cast, she's my favorite, definitely." Aalisa has been frustrated over the years by several instances of Hollywood whitewashing, but ultimately "The Hunger Games" isn't one of them. "I can make that argument in so many other movies, but in this one I don’t think it's necessarily a battle that we need to have." What's with all the dopey hair and make-up? This isn't a case of Hollywood taking liberties; rather it's mostly true to the book's descriptions, which are Collins' critique of the direction towards greater body modification and enhancement—think Katherine Helmond in Terry Gilliam's "Brazil." The people you see with the most tricked out looks tend to be from society's highest ranks, they live a largely carefree life, free from hunger, and with enough time and resources to waste on dying their skin, crafting elaborate hair and beards or make-up. Before you dismiss the characterization of future vanity, consider how audiences 60 years ago would've responded to characters with fake giant breasts. Suddenly green skin and pink hair doesn’t seem so stupid, does it?